I’m going to start this whole post by saying it doesn’t always work. 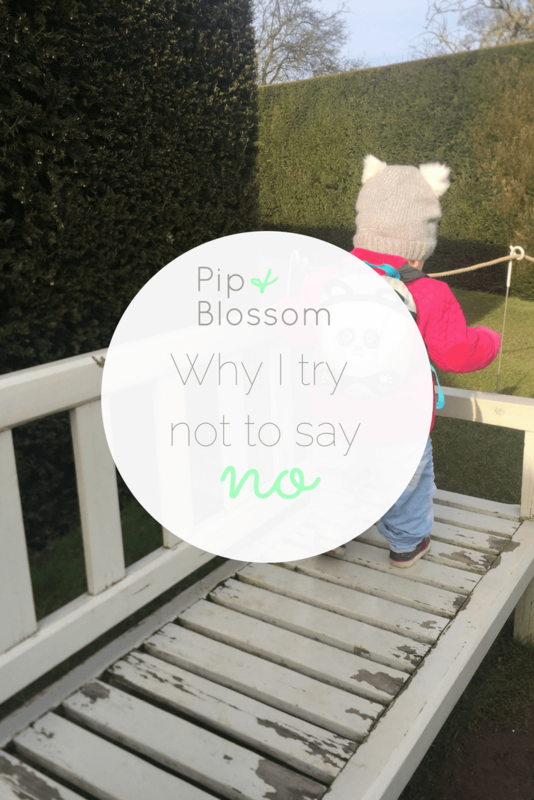 Sometimes, a sharp ‘no’ just slips out; sometimes I’ll admit it is during one of my daughter’s screaming tantrums, but by and large we don’t say no to her – unless it is really necessary. When Pippin began showing all the signs of a baby about to crawl I floated the idea to my husband of minimising our use of the word ‘no’. Every indication led me to believe that Pippin was going to be a wilful little girl, and my experience of wilful little girls includes the liberal use of the word ‘no’, usually unheeded. The thing is you need something that gets their attention. In a potentially dangerous situation you want their attention fast, and if no is something you hear multiple times a day then it just loses all its meaning. That’s not to say we don’t have limits, or prevent her from doing things, because we do, we just phrase it slightly differently. We talk a lot about ‘gentle hands’. She can be very heavy handed, as most toddlers are, so if she is we get down to her level and explain about being gentle. We’ve talked to her a lot about not touching the oven and hob, because it is hot and would hurt, and shown her the steam. As of yet she hasn’t tried to touch it, and obviously she’s never alone near it anyway. She does point and tell me it’s hot (ot, ot) whenever she sees it. Whereas when she picked up a stone and went to put it in her mouth, and mummy shouted ‘no’ she stopped. Immediately. She also cried and I felt bloody awful, but it did avert a situation that could have been dangerous. A cuddle and an explanation solved the tears anyway. No, for us, will always be reserved for occasions where it is really needed.